There’s a huge update coming that is BlitzKeep 1.5! It’s huge. 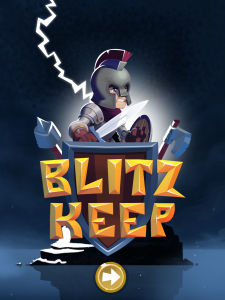 We sort of view older versions of BlitzKeep as the beta, or an “Early Access” version. We took all the things that you all said and really worked to improve the game and make it awesome. Thanks so much for all your support and great comments. Here’s a big change list. Holy moly, what isn’t new? This is an EPIC update! The game is almost completely remade! Completely Overhauled Gameplay – from “try and die” to new sense of control. Tap as you hit walls for boosts, and swipe to subtly change direction! New World and Level Select – a new, beautiful world to save. New Level! – The Abyss. It never ends, but gets progressively more difficult. Try for a high score! New Classes – There used to be 7, now there are 18! Lots of fun, like Sumo who causes earthquakes, or Slayer who chases after enemies. New Abilities – There are now 6 major ways to enhance your character over time. New Art – All over the place! Starting with a beautiful new landing sequence, to special effects out the wazoo, you’re going to love it! Price Drop!!! – We’ve down from $3.99 to $2.99. Sound Effects – Literally every single sound effect in the game has been remade. No more 8-bit soundy sounds. Original Score – A full original score with music for every stage and more, by master composer Mario Godoy. A Story – Many characters await to talk to, ready to help you out, all with distinct personalities and talky grunts. New Tutorial – Since you’re updating this you probably don’t care, but there’s a new tutorial. We recommend you check it out to learn boosting and swiping. Difficulty Tuning – Tweaked a lot of the progression so hopefully it feels more smooth now. Play as A Lady – Save the world as either a man or a woman! It has been submitted to the App Store and we’re expecting to make it live on July 2. It will be live on the App Store, Google Play, and Amazon app store. This entry was posted in releases and tagged blitzkeep. Bookmark the permalink.